Donald Trump is a dumpster fire of a president who has the temperament of a colicky baby and the integrity of a used car salesman trying to make his sales quota at the end of the month. You can’t trust anything he says, never know what foolishness he’s going to engage in next, and the peculiar follicle situation on top of his head has still left many of our greatest living scholars stumped. And yet, this is the man-child who will be choosing yet another Supreme Court Justice during his disgraceful, vitriolic, questionable and unabashedly divisive first (and hopefully only) term in the White House. Any decent human being who has a semblance of compassion towards marginalized and oppressed people in this country is probably devastated right now at this prospect. Feelings aside, denial will get us nowhere. 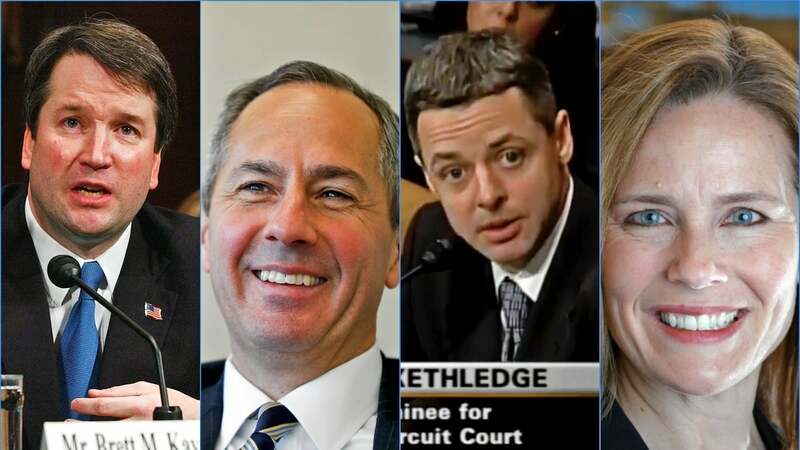 It is with an incredibly heavy heart that we break down 45’s top four contenders for the next Supreme Court of the United States (SCOTUS) justice. 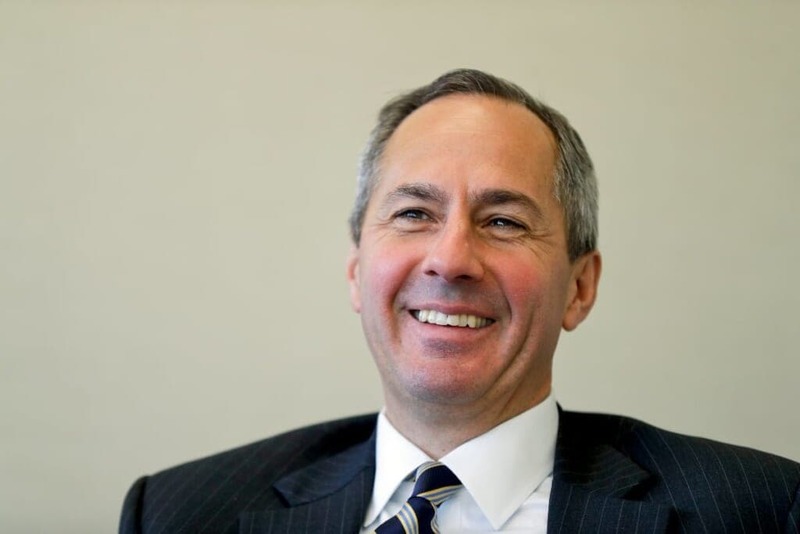 Thomas Hardiman has the typical working class story that appeals to most Americans. He was the first person in his family to go to college, attended the University of Notre Dame and then financed his law degree at the Georgetown University by driving a taxi. Even though he is a Massachusetts native, Hardiman settled in Pittsburgh, where his wife comes from a family of prominent Democrats, but don’t get too excited. Despite any liberal pillow talk that may go on at his bedroom, SCOTUSBlog, a site that closely follows the Supreme Court, described him as “a solid, although hardly knee-jerk, conservative” with a consistently conservative voting record. To give you a taste of his moral compass, he has previously sided with jails seeking to strip-search inmates arrested for even minor offenses, and he has also supported gun rights. In fact, he’s so pro-NRA he dissented in a 2013 case that upheld a New Jersey law that would have strengthen requirements for carrying a handgun in public. Wonder if he would feel the same way if those handguns were all registered to Black folks. He became a federal district judge at 37 and was appointed to the 3rd Circuit in 2007. Hardiman just celebrated his birthday on July 8 and is now 53 years old. 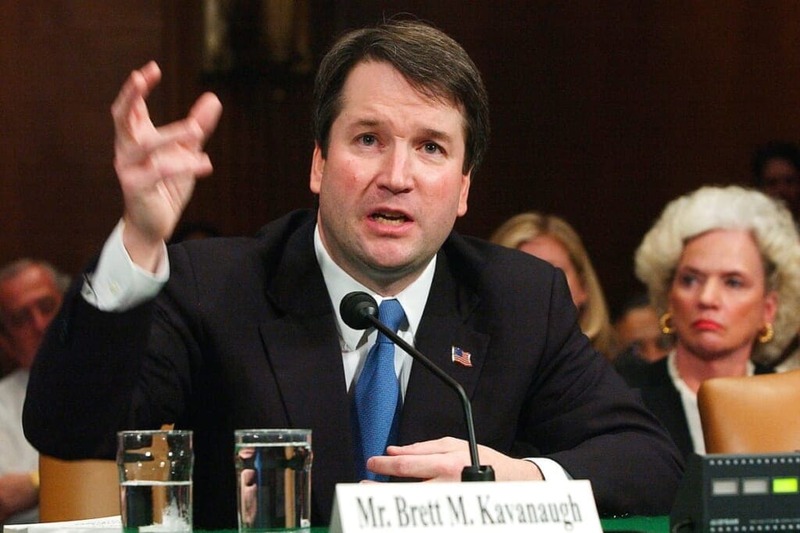 Brett Kavanaugh has extensive experience on the bench serving as a judge on the U.S. Court of Appeals for the D.C. Circuit since 2006. Through the years, the Yale Law School graduate has amassed a track record of siding with religious organizations over the government and other groups that challenge them. In one case, Kavanaugh even went as far as to declare the Obamacare contraceptive mandate a violation of one’s constitutional right to religious liberty. His tried and true bias towards the right makes him particularly attractive to conservatives. Coincidentally, he clerked for Justice Anthony Kennedy, the man he would be replacing. He also gained a bit of notoriety during his time working for former independent counsel Kenneth Starr during the investigation into then-President Bill Clinton. Kavanaugh is the only one of the top contenders with a law degree from an Ivy League school. Regardless of Trump’s semi-promise to “probably” not bring up Roe v. Wade with candidates, many Trump supporters appreciate that on the issue of abortion, Kavanaugh dissented from a recent ruling requiring access to an abortion for an undocumented immigrant minor. Fortunately, the D.C. Circuit Court of Appeals overturned the decision by a three-judge panel of the same court that included Kavanaugh. He has also sided with conservatives on the issue of net neutrality, and has generally gone against the Environmental Protection Agency in cases over its authority to regulate. If you think Trump had a propensity for destroying Obama’s legacy, Kavanaugh would undoubtedly take that to the next level. Kethledge is a judge on the U.S. Court of Appeals for the Sixth Circuit in Michigan and like Kavanaugh, the 51-year-old also once clerked for Kennedy. Trump often waxes poetic about the need to protect the Second Amendment, and Kethledge is known for his very staunch and vocal defense of the right of the people to keep and bear arms. Kethledge has issued opinions on a number of immigration cases, which is an important thing to note in a time when the Trump administration has received bipartisan backlash due to their inhumane treatment of undocumented families. 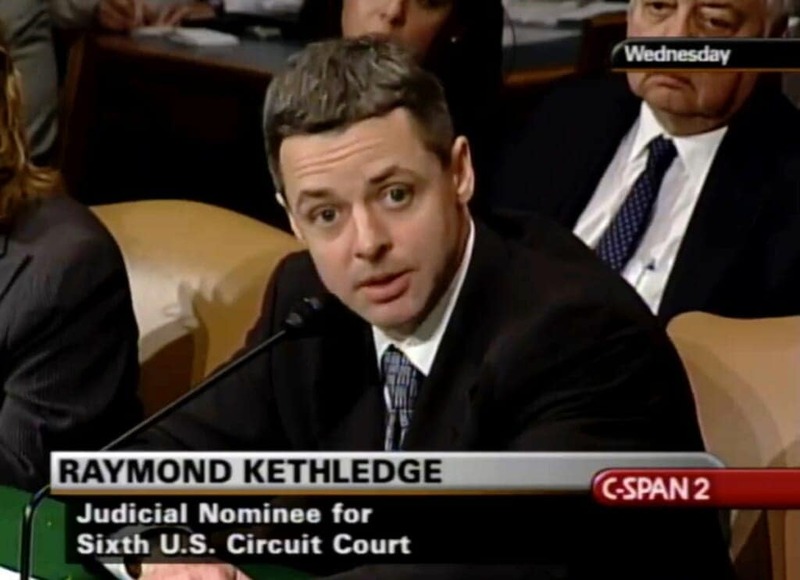 Many have described him as an originalist and a textualist, someone who will stick with the original believed intent of the Constitution (that never intended to include people of color), but during a Senate confirmation hearing in 2008, Kethledge claimed he wasn’t one that could be categorized. “I don’t really have a label that I can put on myself,” Kethledge said at the time. Usually having a woman up for a seat is seen as a win for feminists and pro-woman allies. Except there are the 53 percent of white women who voted for Trump still out there. If they taught us anything it’s that not everyone in the sisterhood has the best interests of ALL women in mind. If selected and confirmed, Barrett would be the only conservative female justice. The current two female justices on the court have been nominated by Democratic presidents and are all considered liberal. Shout out to original RBG, Elena Kagan and Sonia Sotomayor. Despite checking off those superficial boxes, when it comes to experience, Barrett is lacking. The Notre Dame Law School graduate has only served on the U.S. Court of Appeals for the Seventh Circuit since fall 2017. It’s also worth noting that Barrett is Catholic, and a mother of SEVEN, who is considered socially conservative. This could ironically spell trouble for women and their reproductive rights. 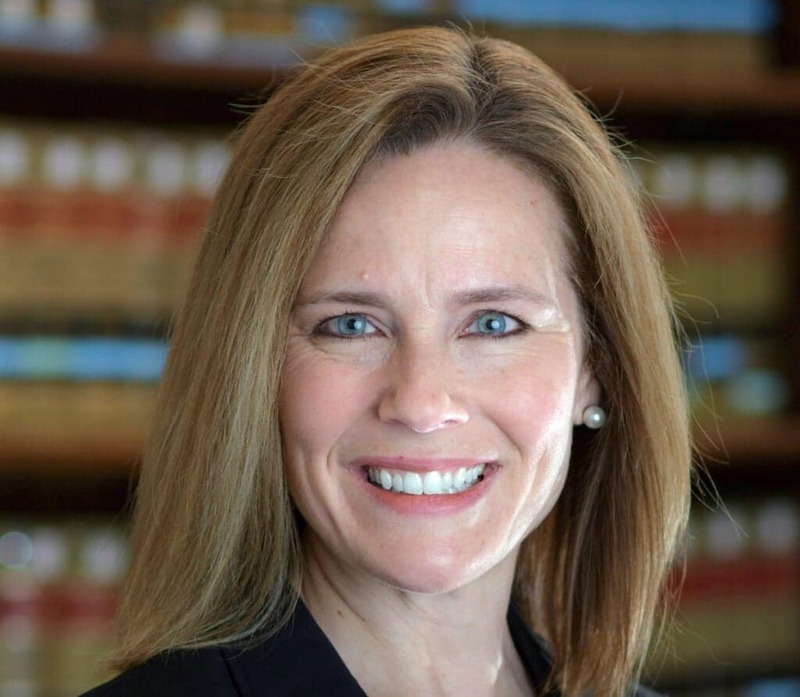 Despite being the rookie on this list, conservatives consider her someone who will faithfully uphold principles of religious liberty from the bench no matter what. This country has a long history of using Christian beliefs as an excuse to take away people’s civil rights, and unlike Trump, Bennett sincerely believes in her dogma and will therefore fight tooth and nail to make non-believers pay for it. Earlier this month, the Associated Press reported that Vice President Mike Pence met with some of the contenders, which also included Amul Thapar while Trump spoke by phone to Republican Sen. Mike Lee of Utah. Trump is scheduled to make the announcement at 9 p.m. EDT Monday from the White House. While #45 has publicly boasted that he has already made his choice, he says he “can’t go wrong” with any of his final four Supreme Court candidates. We would beg to differ.